Book Description: Anxious to leave her destructive past behind, Amelia Caldwell moves to Willowberg, excited for a fresh start. Once there, she discovers that her birthmark is more than it seems. She has been marked by a vampire’s soul. Not only does she hold his soul, but Amelia is also his soulmate. My thoughts: Amelia has spent her life on the outside looking in. She doesn't fit in with her peers. She is an orphan and a loner. She has looked for a place to fit in and to be loved. She receives a scholarship to a University. It comes with all expenses paid and an allowance. She comes to her new situation with high hopes. She is wanting to start over, to not have her past dictate her present. She finds a gated community with secrets. Danger lurks around the corner. Is her imaginary boyfriend from her dreams real, or does she and Eric have something real in their attraction? Why has she been told not to run alone in the gated community, that it's not safe? All is not as picture perfect as she imagined it to be. This book is engaging. It is written in a way that captures your attention and imagination. The author moves the pace well, she doesn't reveal too much at once and doesn't hold back on information. It has a secretive and mysterious feel to it. There is some swearing and intense kissing scenes. Click on the button to go and enter! It closes on April 10, 2013. 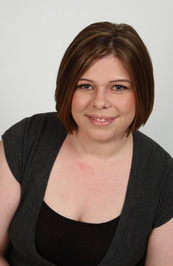 About Ashely: Ashley Stoyanoff lives in Whitby, Ontario and loves diving into the magical world of creating fiction. Over the years she has written numerous short stories. The Soul's Mark: FOUND is her debut novel. When not writing, she can be found reading sappy novels, watching cheesy chick flicks, and buying far too many clothes. If you would like to read an excerpt from the book. Visit Black Lion Virtual Book Tour's Page! The first two books are $2.99 on Amazon kindle!